The American West is a hunter’s paradise. 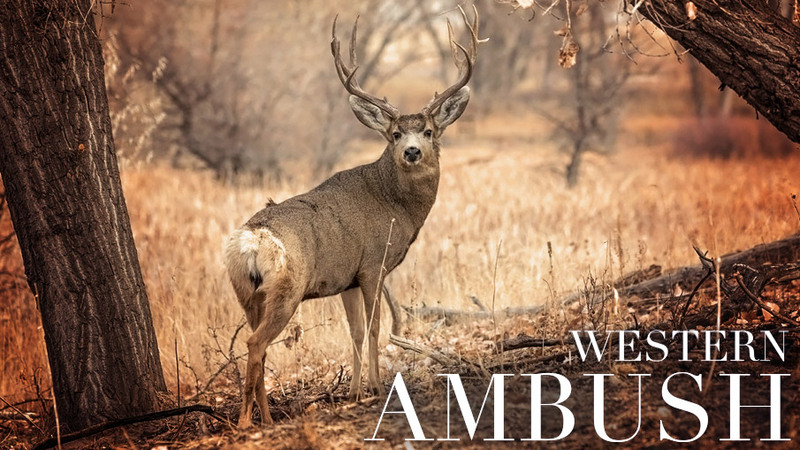 Outdoorsmen and women from across the country dream of the bugling elk, big mule deer, whitetails, pronghorns, and countless other species that call the west home. So, tune into The Revolution this week as we take a closer look at embarking on a Western Ambush, as well as the gear/apparel you'll need and the skillset and conditioning that's required to get the job done. Joining us for the first time and for a two-part interview, will be Jason Matzinger, host of Into High Country airing on Sportsman Channel. Then, Freddy Harteis from Hollywood Hunter on Sportsman Channel, Jill Gechter of CINCH Jeans and Silencer Shop's Director of Social Media, Jeremy Mallette. The Revolution's pursuit of western big game is presented by Outdoor Channel, Sportsman Channel, World Fishing Network and MyOutdoorTV. Jason Matzinger is an award-winning film and television producer and the host of Into High Country on Sportsman Channel. Tune in to The Revolution this week as Jason joins Jim and Trav to talk about elk hunting in his home state of Montana. Jason will talk about the generous amount of public land and access for hunters to utilize in their pursuits, as well as explain the different approach that must be taken when hunting elk versus whitetails. He’ll then talk calling and explain why hunters should be more restrained in their use of calls. Jason says that in high pressure areas, bulls will answer you, which keeps a hunter excited. However, many times they will simply answer just to keep tabs on you and then use the wind and terrain to get away and position themselves out of your reach. “They have no reason to leave a herd of 20 beautiful cows they’ve worked their whole rut for to come stomp through the forest and find a bull that wants to challenge them.” Don’t miss these great tips as well as his advice to avoid meat spoilage during early season when temperatures can still be high. Finally, he’ll discuss #ProjectElk, a documentary and educational tool that explains how hunting is conservation, how it affects everyone’s lives and what would happen if it was gone. Freddy Harteis is the host of Hollywood Hunter on Sportsman Channel. Freddy is a passionate outdoorsman, professional hunter and he also guides hunters on trophy class big game pursuits on the sprawling Harteis Ranch in Colorado. This week Freddy joins Jim and Trav to talk muleys. Colorado is well known for monster mule deer, but sometimes field judging them for size can be difficult. Freddy says that when mule deer season opens up, bucks will still be in velvet which make them appear bigger than they really are. Stick around for his tips on accurate field judging. Plus, he’ll discuss locating bucks and how early September patterns will quickly give way to changing behavior and tendencies to head for thicker cover later in the month. There is ground breaking news in the world of suppressors and Silencer Shop is at the forefront. Tune in this week as Silencer Shop’s Jeremy Mallette joins The Revolution to explain how they are making the purchase of a suppressor, a much quicker process. Long wait times of up to one year, have been the norm when it comes to waiting for the ATF to process paperwork. Silencer Shop has created the Form 4 Barcode System that will print a unique barcode on each Form 4. That barcode has all of the information of that form, so when it reaches the ATF, they no longer have to manually input the information, but rather scan the barcode and the information is automatically entered into their system. A quick scan turns a process that takes several minutes into only seconds. Which, in turn, greatly increases the speed at which the ATF is able to process Form 4’s. Silencer Shop developed this technology and gave it to the ATF. Furthermore, they made it available to every other dealer and an entire industry, as well as its consumers, who will now benefit from this innovation from Silencer Shop. Tune in to find out more about this exciting advancement.